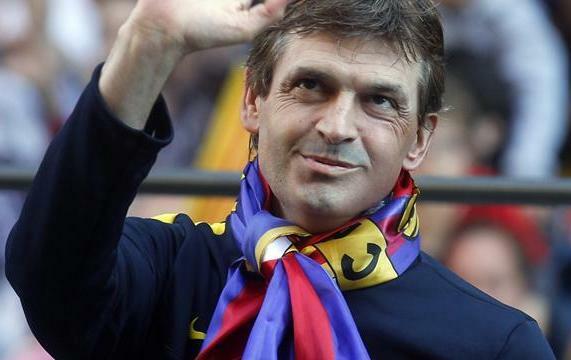 Tito Vilanova died at 45 yesterday after a long battle with cancer. The former Barcelona coach, who was diagnosed with cancer for the second time in December 2012 took over at the Nou Camp ahead of the 2012-13 season having been Pep Guardiola's assistant during the most successful period in Barca's history in which they won three out of four La Liga titles and two Champions Leagues in 2009 and 2011. Barcelona went on to make the best-ever start to a La Liga season with 18 wins from 19 games. "Tito Vilanova has passed away today at the age of 45. It happened this afternoon as our former coach was not able to overcome a disease he has fought since 2011,"
"The club wishes to express their deepest condolences to his family with whom it shares their pain in these moments as do fans, members of FC Barcelona and all the world of football and sport,"